This morning when we got up, that was a different story. It was snowing and didn’t look like it was going to let up anytime soon. They said to expect 1-3 inches. Well…by 2pn, it was still going and going and going. Let’s just say, our plans to venture out quickly became a day to stay in, male popcorn, order take-out and binge watch Netflix. Turned out to be the perfect day, spending time with family, good food and relaxing. 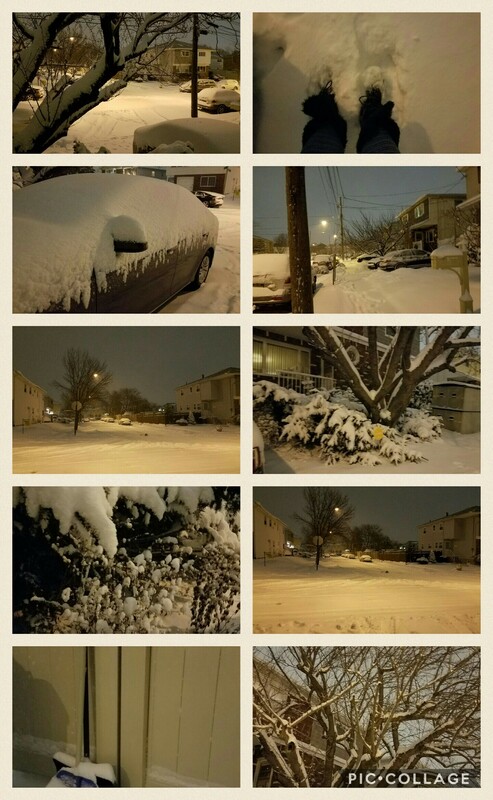 Here are some pics for my friends who are missing the snow. Enjoy!